Carpet, Laminate, Real Wood, Vinyls, Tiles - we've got floors covered! Our new showroom is bigger and better than ever before. 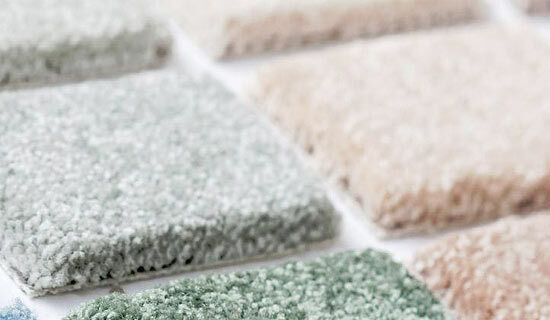 With loads of choice for everything from carpets to hard flooring we'll be able to find the right flooring for you. 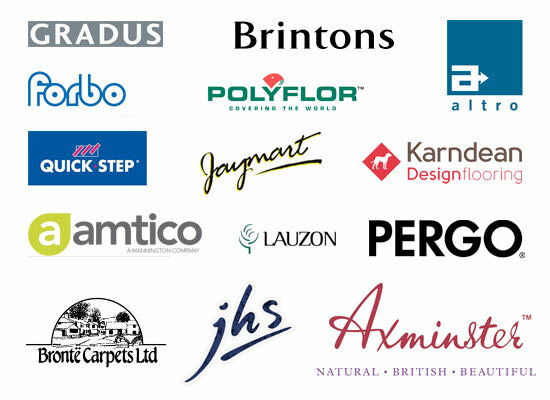 Thanks to our wide range of suppliers, we have a superb choice of UK made, quality carpets including Axminster, Brintons, Bronte and Cavalier brands. 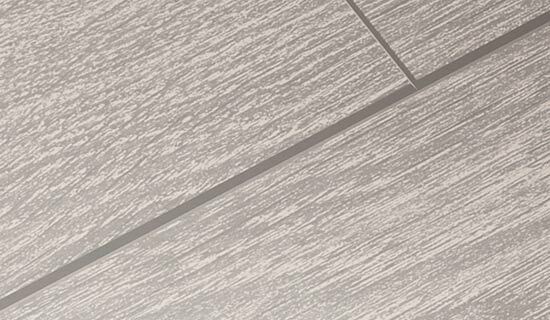 Laminates come in a massive selection of designs and thanks to their hard-wearing, easy to clean finishes, they are more popular than ever. 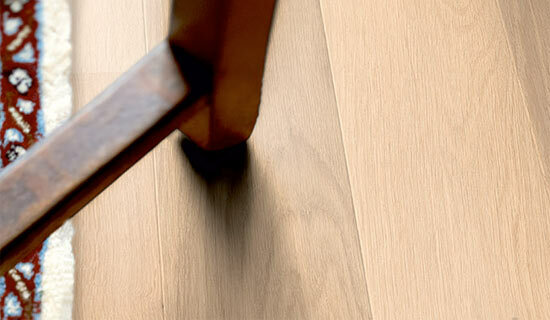 For a truly luxurious finish, real wood flooring is hard to beat. Once again, we have a great choice for both domestic and commercial environments. Hardwood without the maintenance. Stone without the cold. Massive choice of designs. 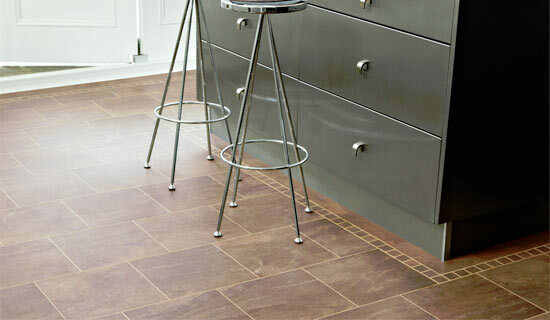 Karndean & Amtico flooring will amaze you. 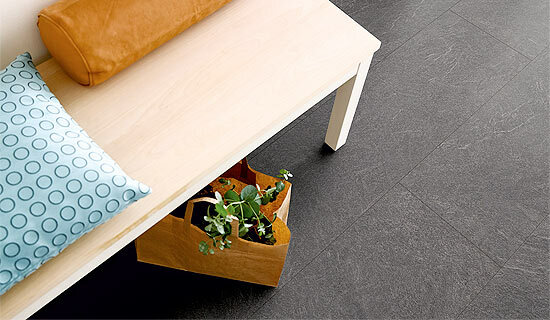 Vinyl floors offer a quiet and comfortable walking experience, reducing step noise and increasing comfort with a natural warmth. Boats require special carpets and flooring designed to withstand the rigours of their life on the water. Poor fitting can result make even the most expensive floor look terrible. Our fitters are fully trained to provide the very best results. 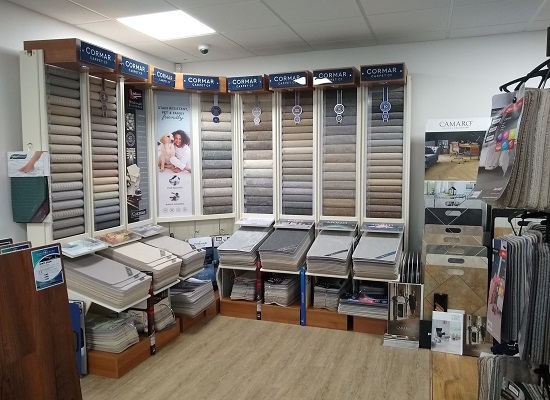 Russell’s Flooring supply and fit a complete range of domestic and commercial grade flooring, including carpets and vinyls. 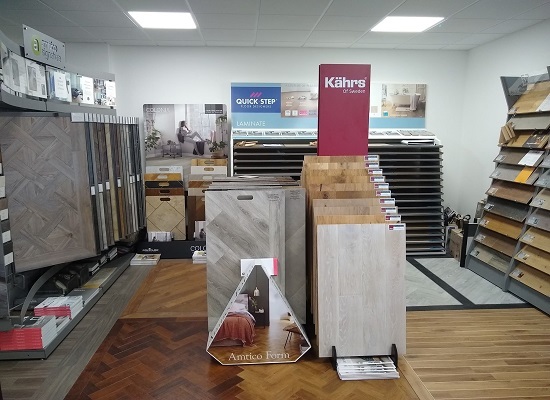 Thanks to our long established trading relationships with leading flooring manufacturers, we are able to offer competitive prices on all jobs, regardless of size. We offer free advice on flooring types, helping our clients meet any applicable safety requirements whilst at the same time, providing an attractive floor finish that suits their budgets and their needs. We supply carpets from high quality manufacturers throughout Southwest UK, ensuring our customers benefit from unbeatable value for money. 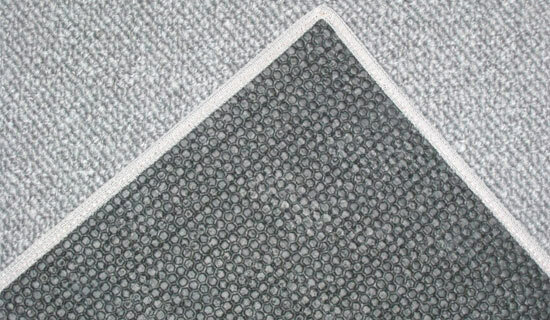 Woven and tufted carpet; twist, loop and velvet carpet piles; plain, striped, Berber and Saxony styles; Wool mix carpets, natural and man-made fibre carpets and a choice of carpet performance & grading to ensure you find the perfect carpet for your home. In addition to leading brands of carpet, we also supply door bars and gripper rods, stair rods and carpet underlays, we also offer great prices on quality vinyls and laminate flooring. We are based in Plymouth and generally find our customer base falls within the following areas: Plympton, Plymstock, Derriford, Roborough, Estover, Crownhill, Southway, Mannamead, Mutley, Stoke, Ford, Cattedown, Devonport, St Budeaux and Tamerton Foliot. Outside of Plymouth, we also regularly carry out work in Yelverton, Tavistock, Lee Mill, Ivybridge, Saltash, Callington, Torpoint and Princetown plus Kingsbridge, Totnes, Newton Abbot and Torbay. 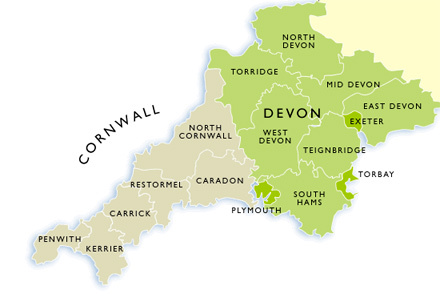 Whilst our main area of work is within Devon and Cornwall, we cover the whole of the southwest including Avon, Somerset, Dorset and Wiltshire depending on project size. We have a great deal of experience fitting commercial flooring, including carpets, vinyls and tiles. Russells Flooring has completed a large number of commercial projects covering hotels, restaurants and pubs plus various large-scale fit-outs of offices, school buildings and leisure centres. If you have a commercial flooring project, please call us on 01752 348586 for a full assessment, advice if required, and estimate of costs and project timings. 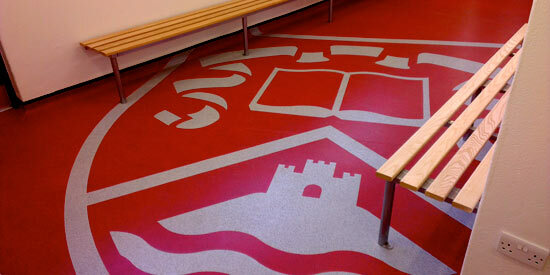 We specialise in time-critical flooring projects. Our professional and highly experienced staff are experts in delivering quality commercial flooring on time and on budget. Our recent projects include prestigious hotel chains, leisure centres, schools, colleges and office buildings. "From first visiting the shop, through ordering and having everything fitted, the service was first class, thank you!" "Getting a 3000sqft office re-carpeted in a single day was a big ask but Andy and the team were up to the challenge." "Just a quick note to say how happy we both are with the new carpets you recently fitted. The boys were great!". 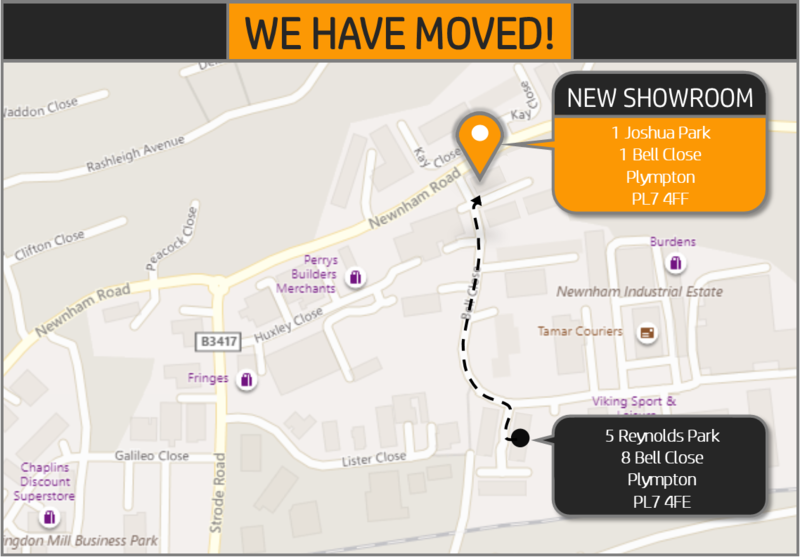 Come and visit us at our Plympton showroom! 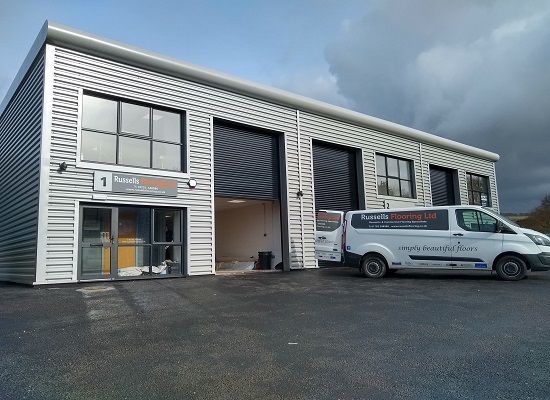 In 2019 we moved into our brand new warehouse and showroom in Plympton. 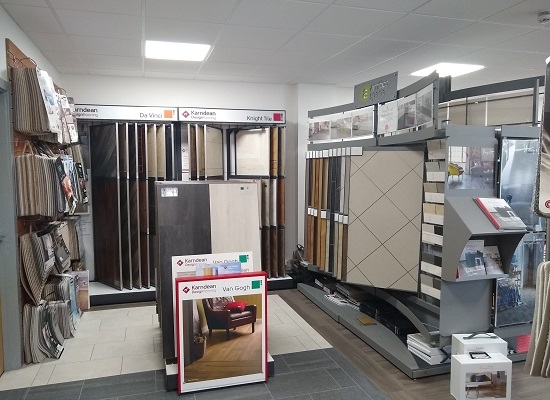 Along with hundreds of carpet samples, we also have the latest styles of laminate floorings on display together with brochures and catalogues. We also often have carpet remnants, roll ends and a selection of vinyls available to purchase. No matter if you are ready to buy or simply looking for some ideas and free advice, pop in and see us! If you are unable to visit us, we are happy to come to you. We'll bring samples and can measure up and provide a free, no obligation quotation.